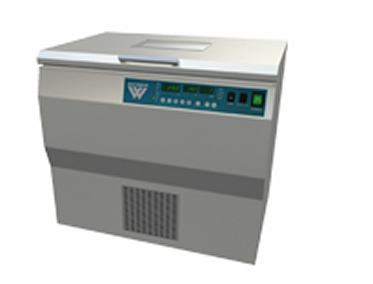 The programmable large size shaking incubators from Weiber are high precision incubator shakers that provide a highly controlled environment for various cell culturing procedures and are ideal for suspension culture applications. They combine the functions of incubators and shakers for increased efficiency and come equipped with programmability, active heating and cooling, illuminated controls and active insulation as part of the standard features. The equipment uses a convenient intuitive programming that allows programmable operation of multiple parameters including temperature, speed and illumination. The operating parameters can be timed for specific applications and are easy to change as per the requirements. These equipments are ideal for temperature reductions or heat inductions for slowing or accelerating the cell growth and are ideally used for culturing of bacterial, yeast, insect and plant cells. These culture incubator shakers use high quality construction materials for a rigid and sturdy construction and highly resistant external and internal surfaces and feature an easy to open lid for added convenience. The design also includes a heavy duty door gasket that completely isolates the internal chamber from external contaminants and protects the internal environment from temperature fluctuations. These equipments are ideal for large load requirements and come equipped with heavy duty, orbital shaking mechanisms for smooth, trouble free, operation. They use a brush less DC motor and triple eccentric drive for low noise operation and long shaker life. These large capacity incubator shakers can accept both smaller flasks of 50ml capacity as well as large flasks with a capacity of up to 6L. They are compact enough to be used as bench top models and can also be operated as regular floor mounted units. The equipment features a unique retractable platform that allows easy loading and unloading of samples and also comes equipped with clamps, test tube holders and other accessories to allow mounting of flasks, test tubes and beakers of various sizes. The equipment can be used for continuous shaking or it can be timed for specific applications. These incubator shakers use programmable PID microprocessor based controllers for highly precise control of the operating parameters and an integrated digital display for accurate set point regulation. It comes equipped with audio and visual alarms for alerting the user in case of set point deviations. The equipment is provided an easy to use key pad that allows direct calibration of speed and temperature for increased accuracy. It also comes equipped with lamp banks for adequate illumination of the interiors. The equipment also features a superior air circulation system comprising of efficient heaters and powerful convection fans. The heaters provide faster heating for rapid temperature equilibrium, whereas the fans maintain uniform air circulation for increased temperature homogeneity.